Land management concerns putting land resources to efficient use, such as producing food, providing shelter, preserving the environment, making sustainable use of natural resources, etc. Land administration is traditionally the responsibility of the government; governments at local and central levels enforce land policies and legislation through land administration. The production, dissemination and use of land information is necessary to inform different land administration aspects, such as tenure security provision, regulation of property markets, promotion of effective land use planning and taxation, etc. The Social Tenure Domain Model (STDM) is a pro-poor, gender responsive and participatory land information system. After many years of grappling with land registration initiatives at great cost to citizens, most developing countries are still unable to bridge the gap between formally registered land ownership units and those units that are not registered or are unaccounted for. The limited success in achieving increased cadastral coverage suggests that about 70 per cent of land ownership units in developing countries are not formally registered. This situation adversely affects individuals, families and communities who are on this unregistered land and, in most cases, these are poor and disadvantaged communities whose aspirations to improve their living conditions or get onto the property ladder are not addressed. The tenure insecurity experienced by communities in informal settlements and owners of unregistered properties is illustrated by forced evictions, land grabbing by elites or farming investors, inadequate compensation when it is considered, and a lack or poor urban service delivery, etc. STDM has been developed to bridge the gap between formally registered land and land that is not registered. It is a pro-poor, participatory and affordable land tool for representing a person-to-land relationship along the land rights continuum. 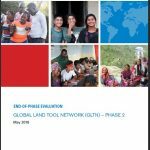 The land tool has been developed by UN-Habitat through GLTN and other partners in recognition of the need for legal pluralism and a broader recognition of person-to-land relationships. STDM implementation is embedded in other GLTN land tools that support countries to introduce innovations which strengthen tenure security for the majority of people, especially the poor. 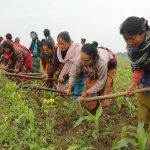 It operationalizes the Continuum of Land Rights concept, enlists inclusive approaches advocated in participatory enumeration, and highlights the gender status of land relations. It follows good governance principles (participation, gender-segregated data, responsiveness and transparency). GLTN partners have adapted the STDM to several different contexts and the tool has been implemented in eight countries. In addition, capacity development of land actors to apply the tool has taken place in over 40 countries. STDM has been used to address several land issues. In the Democratic Republic of the Congo, it has been used in mediation processes to record land rights and generate certificates of residency for the resettlement of over 600 households in Luhonga. In Uganda, it was used to profile, enumerate and map 89 informal settlements in 14 municipalities; it was also used by 500 smallholder farmers to map boundaries of their oil palm plantations, determine the relationship of production and tenure security, and to resolve boundary related disputes. By determining the actual land size, the farmers were able to better negotiate the rent with the landowners. 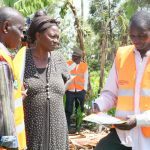 In Kenya, it was used to profile, enumerate and map 3,710 households in three informal settlements in Nairobi and Mombasa, which brought assurances of tenure security by relevant authorities. In Zambia, it was used to capture and collect data on the social tenure relationships of women over land, housing and natural resources within customary areas on the outskirts of Lusaka. This resulted in the issuance of customary certificates of occupancy to 38 households. In Namibia, it was used in Gobabis to collect and capture relevant land and community information and to plan for re-blocking for a new spatial layout and formal rights allocation. In Colombia, it was used for community empowerment and to collect relevant data to develop community improvement projects in Ciudadela Sucre. In St. Lucia and St. Vincent and the Grenadines, it was used to provide increased tenure security to local communities in the context of family lands. The Costing and Financing Land Administration Services (CoFLAS) tool is a decision-support tool. It assists policy-makers and land administrators to adopt appropriate technologies and methodologies for land administration services more efficiently, cost effectively and with options most appropriately tailored to national and sub-national contexts. It was developed after recognizing the need to modernize the budgetary approach to land agencies and to provide effective, cost-efficient, affordable and sustainable services, particularly in developing countries. Countries seeking to modernize land administration services often face large and immediate costs to first achieve broad geographic coverage, and then to establish the supporting records, procedures and personnel capacity. Competition for funding and budgets is also high, hence a strong understanding of ‘fit-for-purpose’ technologies and likely costs is essential. The tool is targeted at land sector (government) staff with a participatory process of implementation recommended. CoFLAS is a set of guidelines and a tabular framework that allows for exploring, identifying and prioritizing land administration services delivery options based on costs of developing and running the services, financial resources available to pay for them, and other considerations such as human capacity and strategic decisions, such as service coverage. CoFLAS does not focus on land value, land use or land development, but does assess the readiness of the country and the agencies responsible for the provision of land administration services for significant investment in land administration services’ reform. A characteristic of the tool is that it has a tabular costing structure aimed at assisting government staff to prepare and assess LAS reform proposals. The tool also takes into consideration the variation in approaches that would have an impact on the cost and viability of the reform. 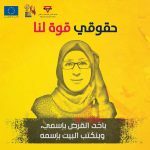 It concentrates on the formal end of the continuum of rights, but does look at steps that can be taken to ensure that the formal LAS is affordable and accessible by all. Of vital importance is the focus on an affordable, ‘fit-for-purpose’, countrywide approach, which reduces barriers for the poor and ensures that there are benefits to society as a whole. Transparency is a critical component of a functioning land administration particularly in view of the scarcity of clear and credible information on land laws and policies, land availability, land prices and transactions. When land administration is opaque, it is difficult to know who is responsible for what, steps, time and costs required to process transactions, means and routes of appeal in the event decisions are unfavorable. Via policies, laws, regulations, charters, codes, rules, structures, functions, and by making processes and procedures ‘open, understandable and predictable ’, transparency provides a fundamental template for efficient and effective service provision from which a broad cross-section of clients and service providers derive both benefit and satisfaction. GLTN has developed the Transparency in Land Administration training package (toolkit and trainer’s guide) aimed at ‘sensitizing’ ‘up-stream change agents’ about land administration, develop their capacity to address issues of corruption and to enhance transparency in the land sector. It focuses specifically on land administration with a view to filling the capacity development gap in the land administration sector. 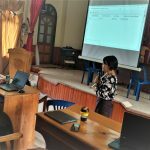 Training content covers key themes clustered into different training sessions related to land governance, transparency, land administration and tools that could help bring about transparency. 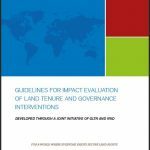 This is within the context, principles, and recommendations set out in regional and global frameworks that highlight the importance of good land governance and equitable access to land as key ingredients in successful land policy development and implementation. Most developing countries struggle to find remedies for land issues that lead to land conflicts, reduce investments and economic development, and prevent countries reaching their true potential. Existing investments in land administration have been built on a legacy of approaches, have been fragmented and have not delivered the required changes and improvements at scale. New solutions are required that can deliver security of tenure for all people, are affordable and can be quickly developed and incrementally improved over time. The FFP approach to land administration has emerged to meet these simple, but challenging requirements; it is a game changer that offers a viable, practical solution, quickly and affordably, and enables control of the use of all land. It provides a new, innovative and pragmatic solution to land administration where conventional high accuracy solutions are not delivering. The FFP concept has three interrelated core components: the spatial, the legal and the institutional frameworks. The spatial framework supports recording the way in which land is occupied and used. The scale and accuracy of this representation should be sufficient to secure the various kinds of legal rights and tenure forms recognized through the legal framework. The institutional framework is designed to manage these rights and the use of land and natural resources, and to deliver inclusive and accessible services. The process entails recognizing, recording and reviewing land rights; this means balancing the financial cost against speed of delivery against quality, such as levels of accuracy to meet the needs; in short, finding a suitable solution for the purpose. The solution can be directly aligned with country-specific needs, is affordable, is flexible to accommodate different types of land tenure, and can be upgraded when economic opportunities or social requirements arise. Most importantly, the FFP approach can be implemented quickly, using a low-risk entry point that requires minimal preparatory work. It provides a rationale to re-focus land administration to meet the needs of people and their relationship to land, to support security of tenure for all and to sustainably manage land use and natural resources using flexible and pragmatic approaches rather than insisting on rigid, high-end requirements.